Raumfahrt+Astronomie-Blog von CENAP - Blog: Raumfahrt - NASA´s Rückkehr zur bemannten Raumfahrt der Vereinigten Staaten. The US space agency Nasa has picked the companies it hopes can take the country's astronauts back into space. It is awarding up $6.2bn to the Boeing and SpaceX firms, to help them finish the development of new crew capsules. Since the space shuttles were retired in 2011, the Americans have relied on Russia and its Soyuz vehicles to get to the International Space Station. Boeing and SpaceX should have their seven-person crew ships ready to take over the role by late 2017. Disagreements over Moscow's actions in Ukraine have made the current Soyuz arrangement increasingly unpalatable for Washington. So has the price per flight now being charged - at $70m (£43m) per US astronaut seat. American officials regard this as excessive. The Obama administration charged Nasa in 2010 with the job of "seeding" indigenous, competing companies to restore American capability. Since then, the agency has released nearly $1.5bn in funding, with most of this money going to Boeing in Texas, California's SpaceX and a third firm - the Colorado-based Sierra Nevada Corporation (SNC). Ideally, the agency would have liked to continue funding all three into the final phase of its commercial crew programme, but its budget is too stretched. It has meant Nasa having to pick favourites. The Boeing Corporation is going to receive a fixed-price Commercial Crew Integrated Capability (CCtCap) contract worth up to $4.2bn. SpaceX will get a contract for a lesser amount - $2.6bn. Both companies must meet specified technical milestones to pick up what will be staged payments. "From day one, the Obama administration has made it clear that the greatest nation on Earth should not be dependent on other nations to get into space," Nasa Administrator Charlie Bolden told reporters. "Thanks to the leadership of President Obama and the hard work of our Nasa and industry teams, today we are one step closer to launching our astronauts from US soil on American spacecraft and ending the nation's sole reliance on Russia by 2017." 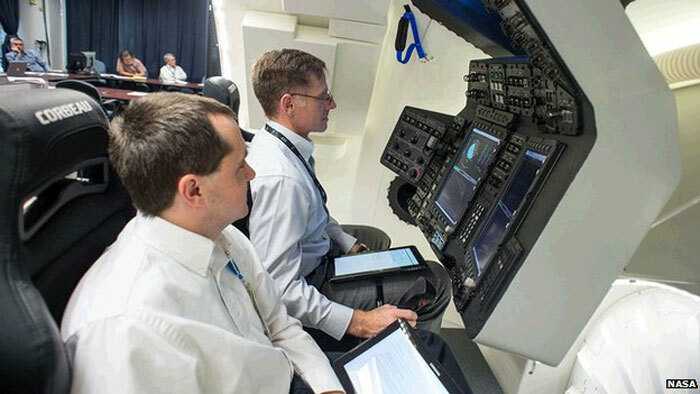 For Boeing, the new money should take its CST-100 capsule through final development and safety certification. Part of the contract also includes fees for initial crewed flights, up to a maximum of six. The CST-100 is designed to launch into orbit atop an Atlas V rocket from Cape Canaveral, Florida, and return to Earth with the assistance of a heat shield and parachutes to a land location. Superficially, there are similarities with the Apollo system, but the new Boeing ship's technologies are, of course, all state-of-the-art. Many people thought SpaceX might grab a larger tranche of the funding on offer. It already operates a rocket and capsule system in an unmanned configuration to take cargo to the ISS, and was working to upgrade the design to accommodate the more stringent assurance levels demanded of human spaceflight. But SpaceX is unlikely to be deterred by getting second billing. It is committed to completing development of its man-rated Dragon capsule. And it believes that its system will eventually turn out to be much cheaper than the one coming from the more well-established Boeing Corporation. This could put the California company in a very strong position to win commercial launch contracts further down the road. The $2.6bn CCtCap contact it is due to receive also covers a certification process and initial crewed missions - again, up to six. In news conferences held by Nasa to announce the awards, reporters repeatedly pressed agency officials to explain why the sum offered to Boeing was so much larger than the one to SpaceX. Those officials declined, stating the procurement process was continuing and that it would be inappropriate at this stage to discuss such matters. But Kathy Leuders, the manager for the commercial crew programme, remarked: "The companies proposed the value within which they were able to do the work and the government accepted that." The big loser in this final round of Nasa's commercial crew programme is the Sierra Nevada Corporation. It will get no CCtCap support. But SNC has repeatedly said that its vision is not a hostage to Nasa patronage. It has already booked a rocket to launch an unmanned demonstration flight of its proposed crew vehicle, which stands out for not being a conical capsule. 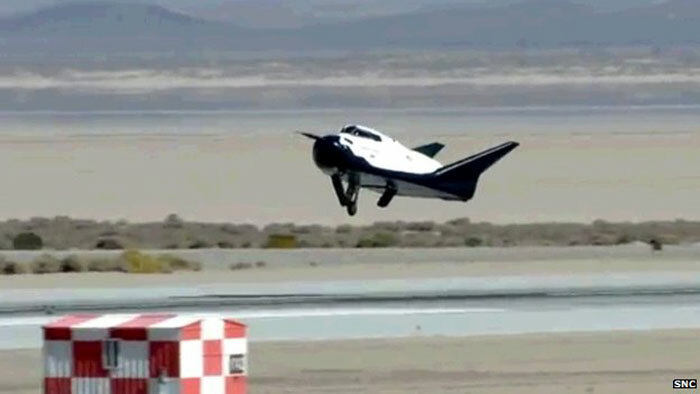 Known as the Dream Chaser, this ship looks like a mini space shuttle. And just like the famous winged orbiters, it would glide back to Earth to land on a runway. SNC has spent a lot of time building partnerships with other companies and with foreign space agencies. U.S. astronauts once again will travel to and from the International Space Station from the United States on American spacecraft under groundbreaking contracts NASA announced Tuesday. 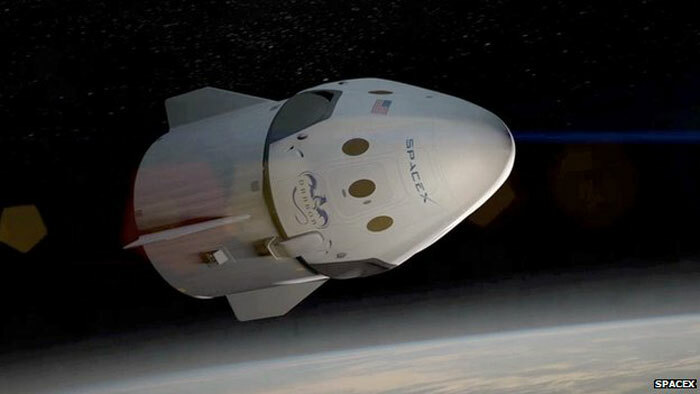 The agency unveiled its selection of Boeing and SpaceX to transport U.S. crews to and from the space station using their CST-100 and Crew Dragon spacecraft, respectively, with a goal of ending the nation’s sole reliance on Russia in 2017. "From day one, the Obama Administration made clear that the greatest nation on Earth should not be dependent on other nations to get into space," NASA Administrator Charlie Bolden said at the agency's Kennedy Space Center in Florida. "Thanks to the leadership of President Obama, the hard work of our NASA and industry teams, and support from Congress, today we are one step closer to launching our astronauts from U.S. soil on American spacecraft and ending the nation’s sole reliance on Russia by 2017. Turning over low-Earth orbit transportation to private industry will also allow NASA to focus on an even more ambitious mission – sending humans to Mars." The contracts include at least one crewed flight test per company with at least one NASA astronaut aboard to verify the fully integrated rocket and spacecraft system can launch, maneuver in orbit, and dock to the space station, as well as validate all its systems perform as expected. Once each company’s test program has been completed successfully and its system achieves NASA certification, each contractor will conduct at least two, and as many as six, crewed missions to the space station. These spacecraft also will serve as a lifeboat for astronauts aboard the station. NASA's Commercial Crew Program will implement this capability as a public-private partnership with the American aerospace companies. NASA's expert team of engineers and spaceflight specialists is facilitating and certifying the development work of industry partners to ensure new spacecraft are safe and reliable. The U.S. missions to the International Space Station following certification will allow the station's current crew of six to grow, enabling the crew to conduct more research aboard the unique microgravity laboratory. "We are excited to see our industry partners close in on operational flights to the International Space Station, an extraordinary feat industry and the NASA family began just four years ago," said Kathy Lueders, manager of NASA's Commercial Crew Program. "This space agency has long been a technology innovator, and now we also can say we are an American business innovator, spurring job creation and opening up new markets to the private sector. The agency and our partners have many important steps to finish, but we have shown we can do the tough work required and excel in ways few would dare to hope." By encouraging private companies to handle launches to low-Earth orbit -- a region NASA's been visiting since 1962 -- the nation's space agency can focus on getting the most research and experience out of America's investment in the International Space Station. NASA also can focus on building spacecraft and rockets for deep space missions, including flights to Mars.